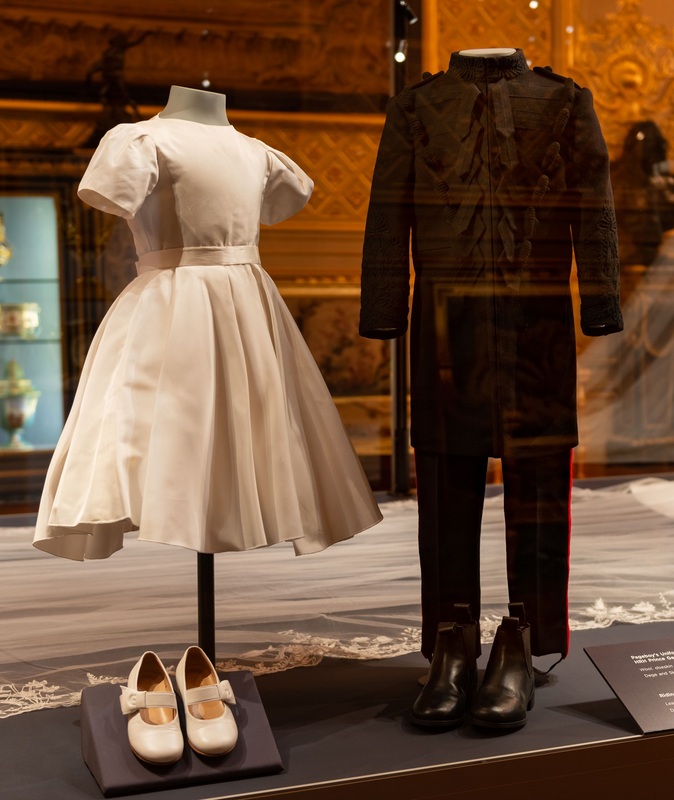 As one of four pages, Prince George wore a miniature version of the Blues and Royals frockcoat worn by the groom, with His Royal Highness’s initials embroidered in gold thread on the shoulder straps. As one of six bridesmaids, Princess Charlotte wore a high-waisted ivory silk dress designed by the same designer as the Duchess of Sussex's wedding dress, Clare Waight Keller of the design house Givenchy. It has short puff sleeves and a double silk ribbon at the waist, tied in a bow at the back. Princess Charlotte’s white leather shoes were made by Aquazzura and embroidered with her initials and the wedding date.